An art quilt group that I joined requires an identifying carrying bag for each quilt that travels to their shows. One of the members told me that she makes hers out of rip stop nylon and I thought that was such a great idea! 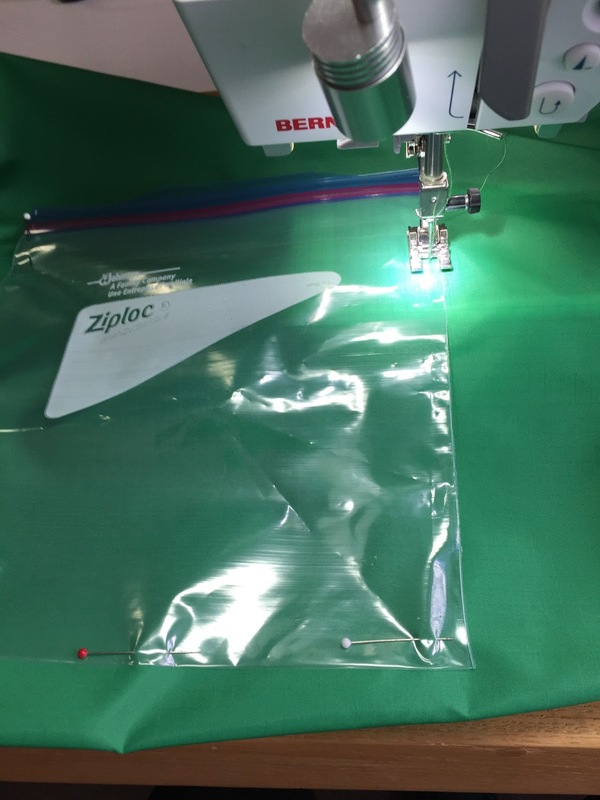 Rip stop nylon is waterproof and light weight, and the quilt slips into the bag easily. 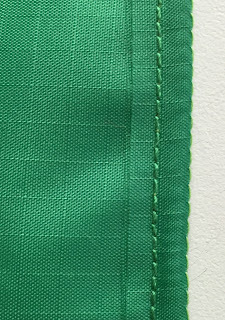 Of course, I bought green fabric, however, there are many other colors you can choose from. I thought that I would share with you the process in case you want to make one too! 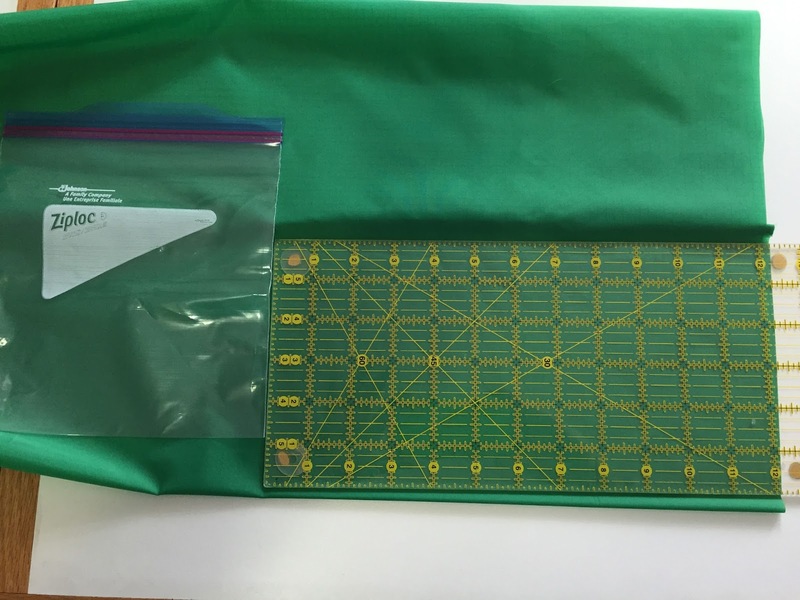 Rip Stop Nylon cut to the width and length required in Step 2 and Step 3. 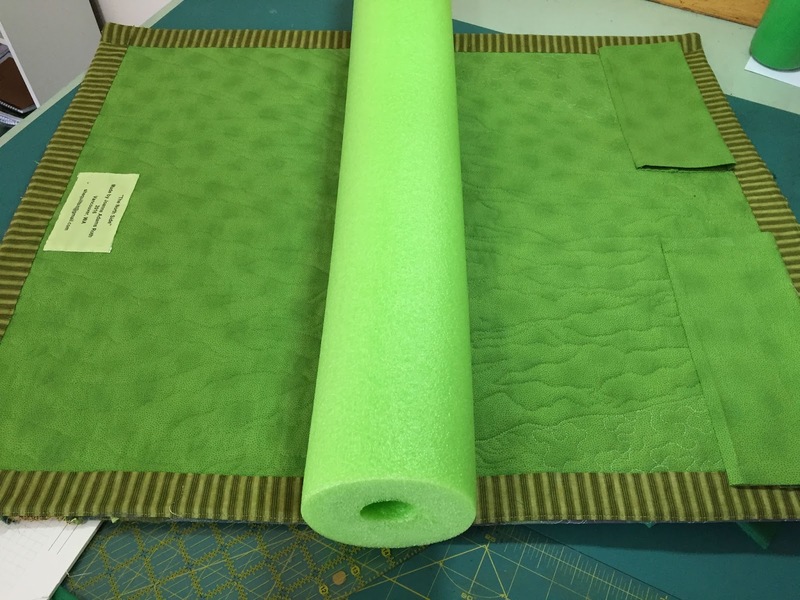 For an 18" Wide x 18" length quilt, you'll need a 26" wide x 28" long piece of material. 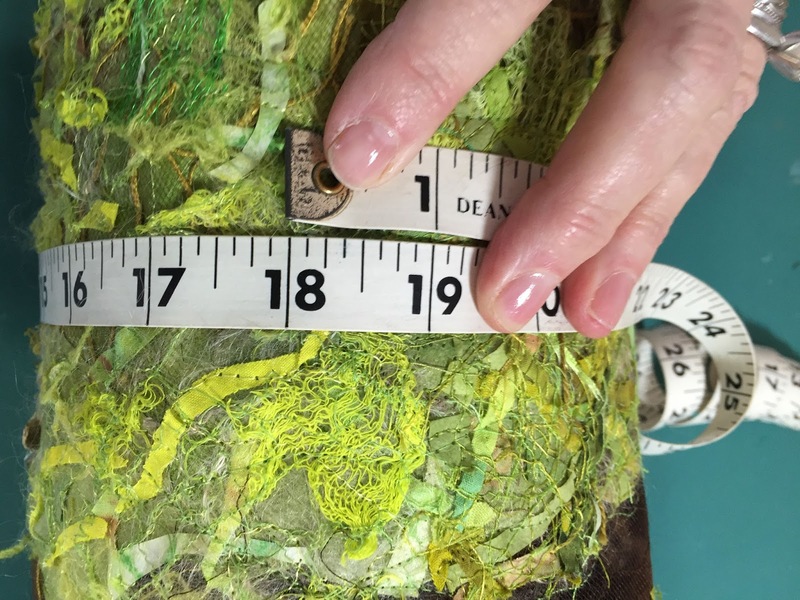 The measurements and instructions are for rolling your art quilt around a 4" diameter swimming noodle. These can be purchased at all the big box stores in late spring. 2. 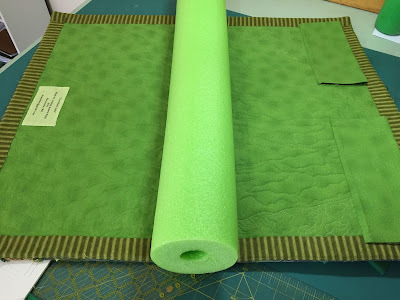 Roll quilt around the noodle starting at the top and ending at the bottom. Measure the circumference. Add 8" to this number. 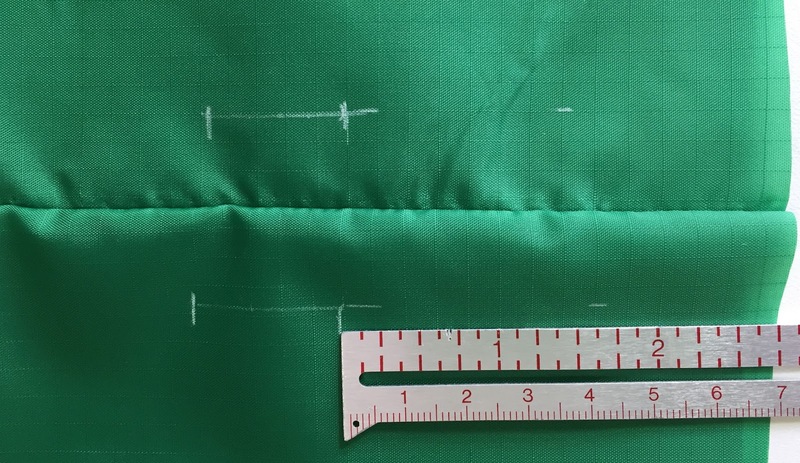 This is the width of your fabric. (For the 18" x 18" quilt, the circumference is 18". So 18" + 8" = 26"). 3. Add 9" to the cut length of the noodle. This is the length of your fabric. (For the 18" quilt, this is 18" +1" + 9" = 28"). 4. 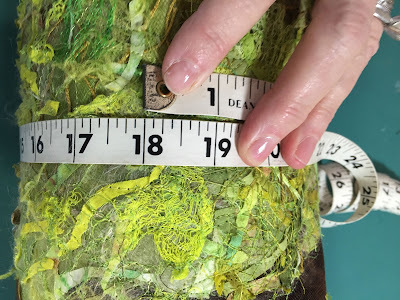 Find the center of the width of the material and chalk mark 12" from the top of the material. 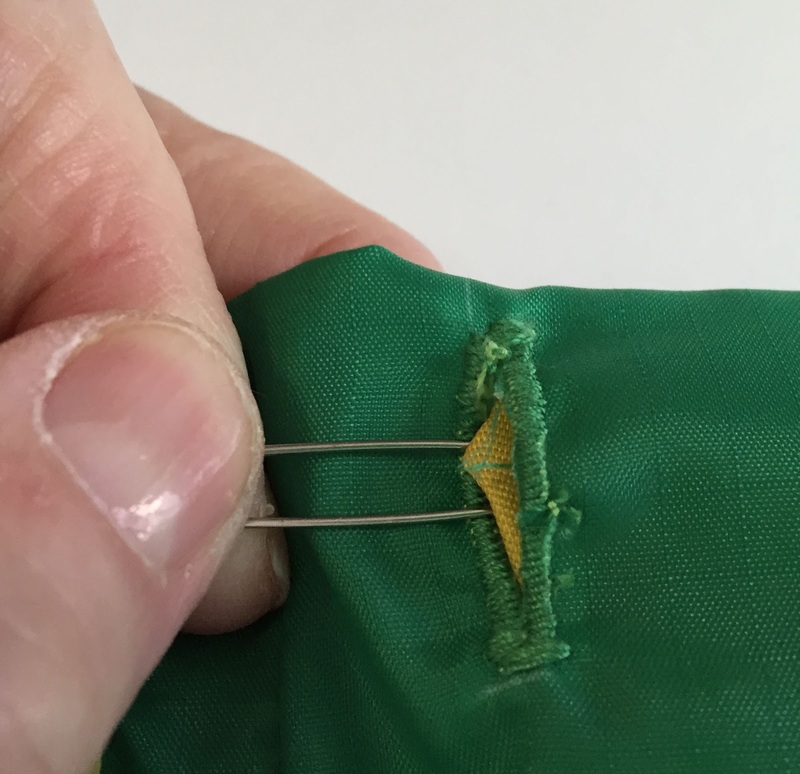 Place the baggie on this mark and pin, or tape, this to the bag. Sew around 3 edges of the baggie, leaving the zip lock opening unsewn. 5. Fold the material right sides together. Sew 1/2" seam. 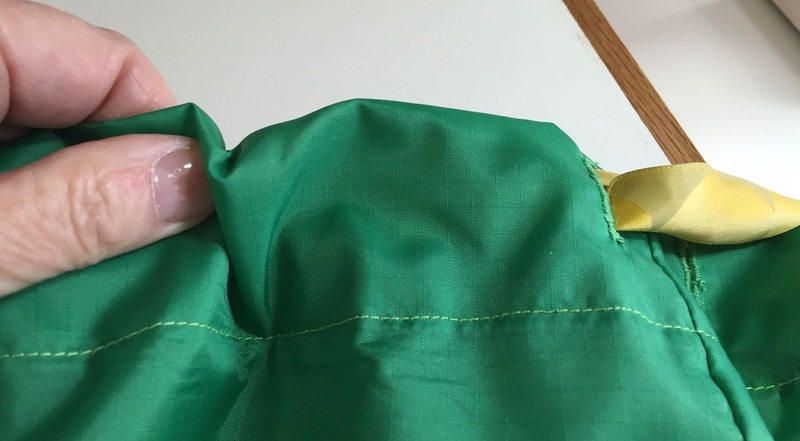 Fold this seam over and sew again to get a double seam. 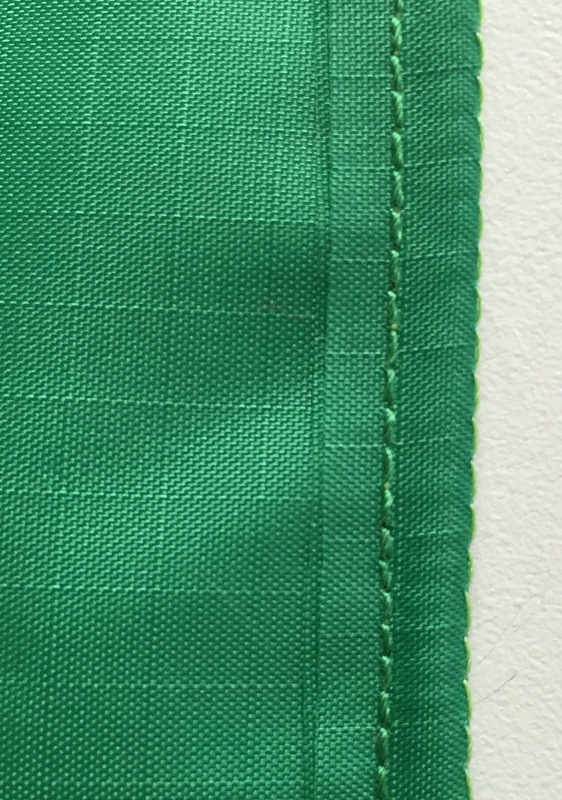 (Note in the picture that I folded the seam over right at the thread from the first seam). 6. 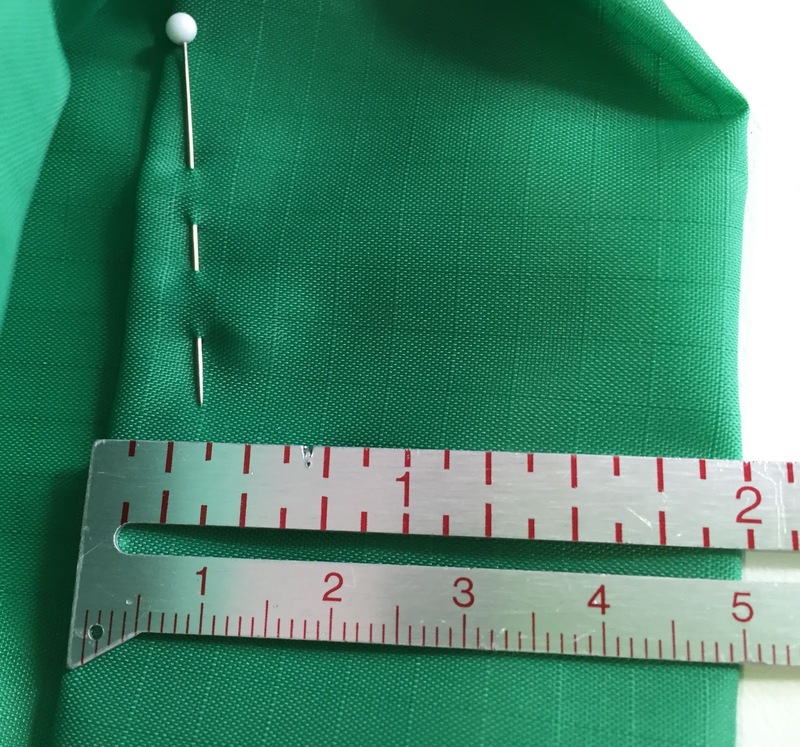 Sew 1/2" on the bottom. Fold this seam over and sew again to get a double seam. 7. Turn the bag right sides out. 8. Make chalk marks for the two buttonholes 2-3/4" from the top edge, 1-1/2" apart, and 1" long. Place stabilizer underneath these marks. 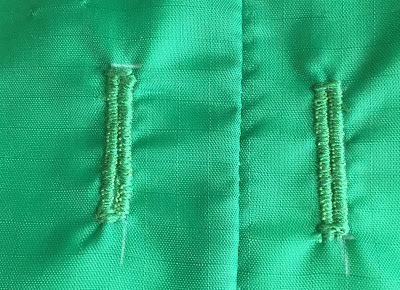 Sew two 1" long buttonholes on these chalk lines. Trim the stabilizer. Cut the openings with sharp scissors. 9. Fold down 1/2" on top edge. Fold again at 2". Pin and sew close to the edge. 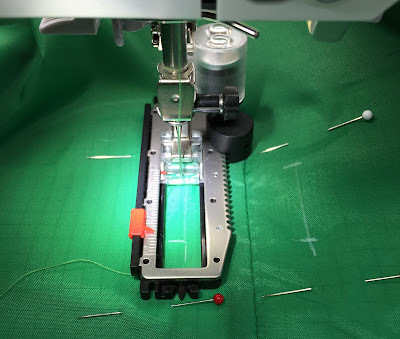 This casing should be sewn with the buttonholes centered in the casing. 10. 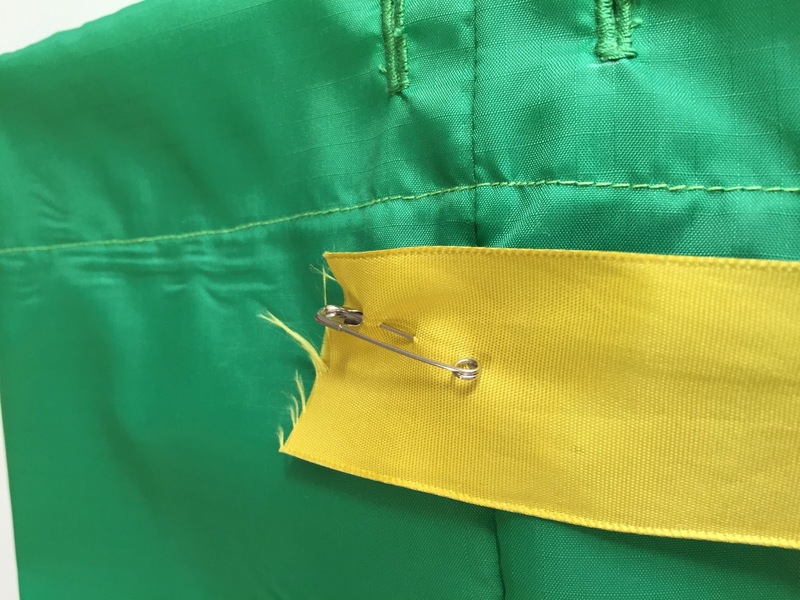 Put a safety pin near the edge of the 1" ribbon, and ease it through the casing. Center the ribbon ends, and stitch a line at the center through the casing to hold the ribbon inside. Stitch or tie the ends so that they won't ravel. I hope you can understand these instructions and that you will try making a carrying bag of your own! What an awesome tutorial and idea for storing small quilts. Thank you so much for sharing! Very nice bag. I like it, Thanks for sharing.